In order to have a successful real estate transaction, it is important to fully understand the local market trends where you are buying or selling. Whether you are pricing a home to sell or making an offer to purchase a home as a short or long term investment, knowledge of local market trends and neighborhoods provides power in a negotiation. I have lived in Bucks County, PA for almost 50 years and offer market expertize from decades of valuable experience in both residential real estates sales and appraisals. I take the time to educate my clients because it matters. I also manage all the important details and communicate effectively so my clients can focus their energy on moving and finding their dream home. My detail-oriented, upbeat approach limits my clients’ stress and makes their move a positive experience. I strive to make sure every buyer and seller I work with raves about me to family and friends. My future clients come from personal referrals so every relationship matters deeply to me. It’s not just business, it’s personal and client priorities are my priorities. Nancy is a very experienced broker. She has strong knowledge of the area in interest. It was very pleasant experience in dealing with her. She would answer to our txts almost immediately addressing all our questions. Nancy has dedicated her time to us answering to all our questions in very deep details in person, via e-mails, txts, etc.. Nancy was on top of every document needed and would alert us if things were due. The transaction went very smoothly and we would definitely recommend Nancy to our friends and family. Nancy truly was an extenstion of our family in selling our home in Bucks County. She is an expert in her field, kind, courteous, well networked, honest and a true champion for her clients. Whether it be staging homes, finding contractors, consulting on listing details, negotiations and even signing final papers, she never waivered in her partnership. We had a bumpy road to sale (inspection challenges and major construction) and would not have gotten there without Nancy's advice and constant support; she goes above and beyond as an agent. Should we ever return to the area, she is our first call. We can't recommend her highly enough!! Nancy McHenry described my property and house as being "unique" and that it would be interesting to a unique type of buyer. Nancy complemented the empty house with the type of staging she supplied and subsequently attracted that unique type of buyer. I was very pleased to have it sell for my "asking price" in the middle of a cold, dreary winter. Nancy was truly concerned about how my family was during this process, cared more about the people than the money! She was great. Also her ability to stage home for showing was critical to getting a full price offer after only 4 days on the market.We already recommended her to friends who are considering their house. 12/24/2018 - Neil Yardley pa.
Nancy is the best! She listed and sold my house in one day for above asking price! Nancy is very knowledgeable and informative about her job.I felt very comfortable working with her in regard to feedback and truthfulness.Not once during the buying a new home and selling the old one did I not trust her.I felt her advice to be very helpful with my decision making.Truthful people are rare! Nancy is the reason you should reconsider if you’re thinking of handling a real estate transaction by yourself. Throughout our time working together my wife and I enjoyed partnering with Nancy tremendously. Nancy is intelligent, experienced, thoughtful and empathetic; she \u201Cgets it\u201D on so many levels. Like any real estate transaction we ran into some issues but those combinations of skills and talents that Nancy brought with her helped us weather them all and got us to where we wanted to be on both the selling and buying interactions. Add to this Nancy’s wonderful sense of humor and we had a near perfect experience in selling and buying our homes. I cannot say enough about Nancy as a real estate agent and person. She is extremely knowledgeable, kind, personable, and talented. The current market is extremely tough and she did not stop until we got our dream house. The entire process was seamless and we felt 100% confident she had our best interest at hand. Everyone she recommends from home inspectors to local locksmiths are completely reliable. We couldn’t be happier in our new home and know our dreams came true because of Nancy. I cannot recommend her higher. There are not words that can describe how efficient, compassionate, and talented Nancy is. I have not one complaint about her. She definitely found us the perfect house that we love. The price and contracts were negotiated even better than we anticipated. I truly didn’t not feel stressed about any aspect finding a house other than the fact the market has minimal inventory. That being said, she still found us a house we love in what is arguably one of the most competitive markets. I 100% know it was due to her hard work and knowledge. Nancy’s performance is comparable to none. She responds immediately, always I could go on and on! Anyone who is looking for a residential agent should definitely reach out to her. You won’t regret it! Nancy is a pro in every way, clearly knows her market well, and does everything it takes to make the deal. Very highly recommended. Nancy was a true professional throughout the entire process. She understood the property, its value, and the market potential from the start. And she stayed on top of every detail along the way. She even went above and beyond by coming over with some additional pillows to help stage the property perfectly so that it showed great both in pictures and in person. The end result was a quick sale with multiple offers above asking price. I couldn't ask for anything more! Nancy McHenry is a very experienced realtor who will look after your interests and support you as either a buyer or seller, as she had us as a client in both cases. Nancy knows the market, real estate rules and regulations, and building trades people and codes. She puts this vast knowledge to use in your behalf. She is excellent in helping her clients reach a fair deal as either a buyer or seller. As a seller she is adept at pricing your home at a fair price in a competitive market. Nancy listened and understood our needs , always answered our questions and returned calls promptly. This was important to us. She knew the local area and how best to market our home. She was easy to work with. If there were repairs to be made she knew to whom to refer us. We feel that we chose the best realtor for our needs, our house sold quickly and we could move on to the next phase of our lives. We were unable to be there for the closing and Nancy handled it well. All went as planned, no problems. All were helpful and professional in every instance. It was a pleasure to have everyone we needed to see in one place. We found Nancy to be professional, helpful, knowledgeable and pleasant to work with. Nancy was a true professional. She provided honest feedback during every step of the sales process. Her marketing plan was excellent and we felt confident in Nancy representing our interest. Our overall experience exceeded our expectations. Nancy is a very knowledgeable realtor. Being first time home buyers we had a lot of questions in the buying process starting from neighborhood selection to final closing. Nancy walked us through every step with clear explanations and suggestions and was available to us when we had additional questions. She is responsible and offers help in all possible ways to make the process as smooth as it could be.I would go back to Nancy from my house buying/selling needs in the future! Nancy McHenry is very knowledgeable about the local housing market. She is extremely energetic, professional and competent. Nancy was unflapable; she never seemed to get stressed or cranky. She was always available to answer questions, and ready to think outside the box if necessary. Nancy delivered exactly what I expected of a real estate agent. I would definitely work with Nancy again, and highly recommend her. Nancy McHenry has an amazing repitoir of people who can help. Handymen, trash removal, electrician, etc. I had already moved and she handled every aspect. She gave exceptional service. I applaud her. Nancy was amazing to work with. She was so wonderful with us even knowing we had a bad experience with a previous realtor. 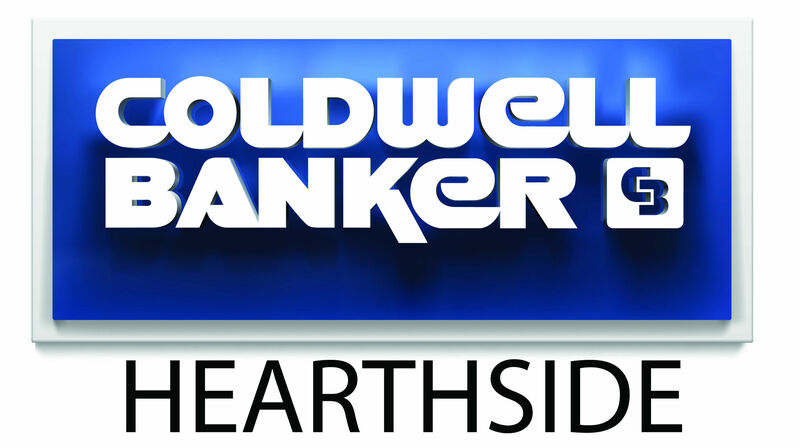 Experienced, Friendly, Professional and Coldwell Banker Hearthside got the sale. Nancy McHenry is an excellent real estate broker, efficient, trustworthy, & knowledgeable. I knew I could count on her to price my home to sell quickly, because she was so familiar with my neighborhood and general area, & I relied on her expertise rather than on my own feelings about my house. I would highly recommend her to anyone seeking to sell their home. She makes you feel comfortable during negotiations and handled everything seamlessly. Very proactive when it comes to getting quotes and anticipating what the other side would do. If you are a realistic seller/buyer, than she is a good fit as pricing property correctly or shopping within in budget is crucial. Nancy McHenry is an excellent listener. She was very creative in selling my house. We were both open to each other's thoughts and suggestions. She is very professional, understanding and determined. She personally did all of our open houses. She knew our neighborhood and who the target buyer would be. I would highly recommend Nancy McHenry. Nancy came highly recommended by a friend. She was a great recommendation. Nancy knows real estate, works hard, does her homework, communicates well,and is with you every step of the way. I would highly recommend her. Top notch. Easy to work with, very knowledgeable, great and trustworthy advice, terrific business contacts to get things done. This was an estate sale, and Nancy took care of every detail and challenge. Would absolutely recommend. Nancy McHenry went out of her way to guide me in preparing and staging my property, pricing to get the best price for the property, and guided me from beginning to end of the sale of my house. Throughout the process, she responded quickly to my texts and calls. She sat next to me at closing, ensuring the process went smoothly. Nancy McHenry is the best!! Nancy is the consummate professional and extremely knowledgeable about the area, local brokers and the strategies for selling/buying. I would recommend her to anyone looking to buy or sell in the Lower Bucks area. As we live far away from the property, Nancy has been extremely helpful for finding us all kinds of contractors and professionals at reasonable prices for the repair projects. She knows and understands the local market and listed the property at a marketable price. I also like that she's straightforward, she makes recommendations, lay out pros and cons but would leave the decision totally up to you. I would totally recommend Nancy McHenry to friends and others. Nancy McHenry was a pleasue to work with. She was a true professional in every facet and sense of the word and I would most certainly recommend her to any prospective home buyer or seller. Nancy is fantastic! Her knowledge about the neighborhoods in Lower Makefield/Yardley is amazing. She had great insights about the homes we visited and was an absolute pleasure to work with. Would definitely use her again and would recommend her to anyone looking for a home! Nancy is the best agent ever! Nancy McHenry did an outstanding job for us. We met her as the listing agent for the property we purchased. Based on that satisfactory experience, we asked her to sell our existing house. She was very helpful in getting our existing house ready for sale by referring a contractor and painter and coordinating the work that needed to be done to get our house ready to put on the market. We could not have accomplished this, in short order, on our own. Thoughout both the purchase of our new home and sale of the existing one, she was always accessible and very professional and helpful in providing advice when we needed it. She put a lot of time into the marketing of our property and following-up on the details of what was needed to get it to closing. She worked closely with the buyer's realtor to ensure good communication and resolve buyer's issues as they arose. As a result, our property was under contract in 75 days during the fall season and sold for $218 sq/ft exceeding other recent sales in our development that were not in excess of $204 sq/ft.Also, we were very happy with the support of Coldewell Banker's title company, Cross Keys Conveyance, that provided a smooth closing, with much attention to detail, when we purchased our new home and was helpful in the sale of our existing home. Nancy McHenry was very helpful, friendly, and professional, starting prior to our listing, in order to prepare us for the process, as well as throughout the listng and closing process. She did an excellent job staging the house, putting together a marketing plan. The coordination of showings was excellent, and the advice provided was relevant and timely. I strongly recommend Nancy to a friend, as she is a true professional. Nancy did a great job for me on my home purchase. She was great with the details, helped negotiate resolution of home inspection items and provided names of service providers throughout the process. I would recommend using Nancy McHenry to anyone buying a home in Yardley, PA.
From the first contact with Nancy she was dedicated to the task at hand. We were amazed at her knowledge of the business and the way she handled every phase of the sale. Nancy responded to all our calls promptly, had the answers to our questions and was very professional in everything she did. We admired her honesty and integrity while working with us, other agents, and prospective buyers. She was recommended to us by friends and never sorry that we chose Nancy as our agent. We have already recommended her to others. I recommend Nancy McHenry as a first class realtor. She has a great talent for making a home "saleable." Nancy is reliable, prompt, trustworthy, professional and creative. She makes selling a home an enjoyable experience. Nancy McHenry provided us with outstanding service when we had to sell our home because of job relocation. She is an agent with the utmost integrity. She is very knowledgeable and gave us excellent advice on the preparation and pricing of our house. We had an unfortunate experience with our first buyers pulling out of the sale three days before the settlement date. However, Nancy got us to rebound immediately and put our house right back on the market. The house sold again quickly and, thanks to Nancy's expert negotiation skills, we were able to formulate a rapid agreement of sale. At that point, we had already moved out of the area and Nancy saw all of the items on the agreement to completion and went to settlement for us. Nancy was responsive and very pleasant to work with. We highly recommend her as a real estate agent. Nancy McHenry was excellent to work with on the selling of our house. Nancy is very personable and a pleasure to know. We were very impressed with her knowledge of the market and the professionalism that she displayed throughout the process. She helped us to right-price our home and negotiated the sale without any issues. We were very happy with the outcome. Our transaction was slightly more complicated than a typical sale because we were part of a corporate relocation and a third party relocation company was included in the process. Nancy’s expertise and knowledge in this area helped us to navigate through the process very smoothly and with little stress. Nancy’s advise throughout the sales processes was always accurate and put us at ease. We would highly recommend Nancy to anyone looking to sell in the area. A year ago when we decided to "downsize" and move into a 55 and over community, we launched into "uncharted waters" that were overwhelming to us. We quickly discovered that we could not have been any more fortunate than we were to have Nancy McHenry as our agent who helped us do all that it took to sell our home (where we had been for 33 years) and to find and buy our new one. We found Nancy to be the consummate professional with a warm personality who handles every detail promptly, efficiently and with thoroughness. We also found that every time we needed to have something repaired or replaced, etc. she was able to give us outstanding recommendations which were significantly helpful. She has the rare ability to be able to do all of those things while maintaining a high level of integrity, patience, energy and a keen sense of humor. Knowing that all transactions were under Nancy's watchful eye helped turn what could have been a painful experience for us into a smooth transition. We will be eternally grateful to Nancy for that and recommend her highly. Nancy was a pleasure to work with on both the selling of our house and the purchase of our new home. She is knowledgeable, courteous, and very easy to work with. She made the whole process a pleasure. I'm confident we would not have had such a positive experience if we had not had Nancy as our realtor. Nancy McHenry was always two steps ahead of every need. She knew what we were looking for and followed every lead. She guided us through negotiations, and we now own our perfect home. We recommend Nancy to anyone who is looking to buy or sell. My husband and I were very impressed with Nancy's professionalism and experience. She made suggestions on how to best present our home, carefully explained the vast amount of paperwork to sign, organized a successful open house, guided us through the offers that came immediately, worked with us through inspection and repairs for the buyer,, and sealed the deal. Plus she managed part of the sale process for us during our prescheduled vacation. We closed within 3 weeks of placing the house on the market. Nancy was a joy to work with during our search for a home. Her knowledge of the area was quite impressive! She was also very patient and understanding during our home search - even when we had to bring our 3 small children to the showings. She gets to know her clients very well and works hard to find exactly what they are looking for in a new home. We would love to work with Nancy again and will not hesitate to recommend her to anyone looking to buy a new home! Nancy McHenry was a pleasure to work with. She was extremely knowledgeable about the current real estate market. She was very professional and competent. She came to our house prepared with comparables of houses that were for sale and had recently sold. After taking Nancy's suggestions for improving our house prior to being placed on the market and her advice on pricing our house, we were able to sell our house quickly.